Panâ€™s Labyrinth is among the films to be shown at the Clark this summer. 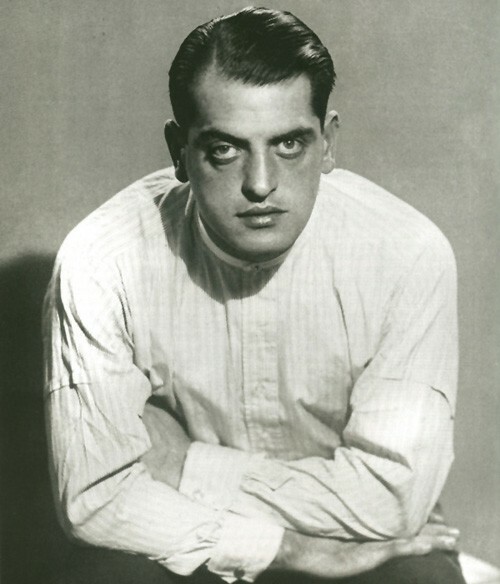 Luis Bunuel is among the masters of 20th century film. 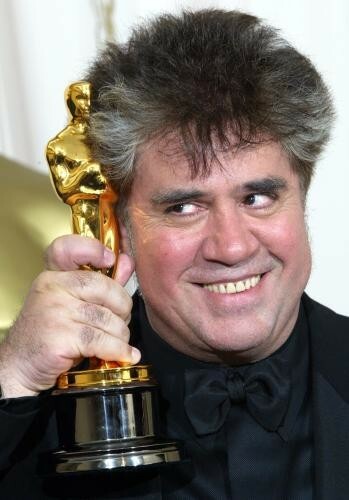 Pedro Almodovar is an Oscar winning Spanish director. In a summer when the Clark is featuring the work of two great Spanish artists, its “Spanish Masters of Cinema” film series, June 18 through August 27, will look at the work of six acclaimed Spanish directors. In the long history of Spanish filmmaking, the great director Luis Buñuel was the first to achieve universal recognition, followed by Pedro Almodóvar in the 1980s. More recently Spanish cinema has achieved high marks from critics and filmgoers alike as a result of its creative and technical excellence, notably Guillermo del Toro’s Academy-Award-winning 2006 masterpiece, Pan's Labyrinth, the final film in the six-part series. All films are in Spanish with English subtitles and will be shown free of charge on selected Fridays at 4 pm in the Clark auditorium. The film series will open on June 18, with the Luis Buñuel classic Viridiana (1962, 91 minutes). During his university studies in Madrid, Buñuel befriended fellow student artists, surrealist painter Salvador Dalí and poet Federico García Lorca, and disturbing and surreal images became Buñuel’s cinematic trademark. He returned to Spain from Mexican exile and was immediately banned for this scathing cinematic satire, which won the top prize at Cannes and eventually was hailed as a sacrilegious masterpiece, with its parody of the Last Supper as portrayed by venal peasants and beggars. Victor Erice’s The Spirit of the Beehive (1973, 98 minutes), July 2, is widely considered to be the best Spanish film of the 1970s. Director Erice takes a mesmerizing child’s eye view in this enigmatic, allegorical film that paints a critical portrait of rural Spain in the 1940s after Franco’s victory in the Civil War. Ana Torrent became a sensation as the little girl haunted by visions of Frankenstein’s monster after seeing Boris Karloff in the role. Carlos Saura’s exhilarating Carmen (1983, 101 minutes), July 16, mixes magical choreography, rousing flamenco dancing and operatic flourishes that reference Bizet’s masterwork. He explores the tale by presenting a modern ensemble of musicians and dancers rehearsing a flamenco interpretation of the Carmen story with choreographer Antonio Gades. During the course of rehearsals, the plot of the production and reality become inextricably and tragically intertwined. On July 30, Pedro Almodóvar’s Oscar-winning film, All About My Mother (1999, 106 minutes), follows Cecilia Roth as a mother who tries to cope with the death of her teenage son by seeking out the boy’s transvestite father. Along the way she reconnects with old friends who re-enfold her into a community of women that the director always celebrates. Almodóvar is one of the most internationally acclaimed Spanish film directors working today and is best known for his use of melodrama, improbable circumstances, and a sophisticated use of kitsch. On August 13, the moving and thought-provoking Oscar-winning film The Sea Inside (2004, 126 minutes), by director Alejandro Amenábar, is based on the real-life story of Ramón Sampedro (played by Javier Bardem), a Spanish ship mechanic left quadriplegic after a diving accident. Sampedro fought a 28-year campaign in support of euthanasia and his right to end his own life. He was not able to get the court to rule in his favor, but he did end his life. 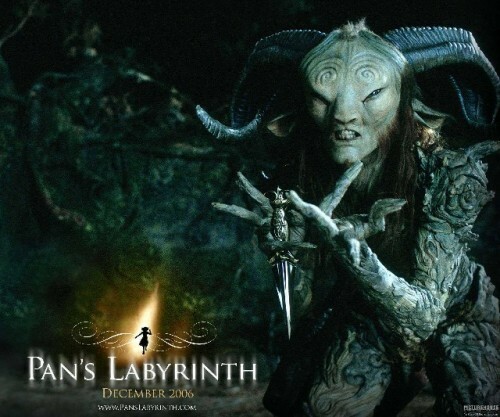 The series will conclude on August 27 with Guillermo del Toro’s acclaimed film, Pan's Labyrinth (2006, 112 minutes). Del Toro reprises many of the themes of the “Spanish Masters of Cinema” series in this spellbinding story of a young girl who escapes from the realities of wartime Fascist Spain into a realm of fantasy. Taking nearly two years to make, this critically acclaimed "adult fairy tale" became the highest grossing Spanish film in U.S. box office history and won three Academy Awards for Best Makeup, Best Art Direction, and Best Cinematography. The Clark’s “Spanish Masters of Cinema” will be shown in conjunction with the museum’s summer exhibitions, Picasso Looks at Degas, on view June 13 through September 12, and Juan Muñoz, on view June 13 through October 17. June 13 through September 12: Focusing on two of the great artists of the modern period, Picasso Looks at Degas examines Picasso’s lifelong fascination with the life and work of Degas. The Clark is the exclusive North American venue for this groundbreaking exhibition exploring the depth of the Spanish artist’s fixation through dramatic pairings and groupings of art that have never been brought together in this ambitious way. The Clark, 225 South Street, Williamstown, MA. clarkart.edu, 413 458 2303. June 13 through October 17: Juan Muñoz features works by Spanish sculptor Juan Muñoz (1953–2001). This immersive exhibition explores themes of absence, memory, and paradox. The Clark, 225 South Street, Williamstown, MA. clarkart.edu, 413 458 2303. June 18: “Spanish Masters of Cinema” film series screening of Luis Buñuel’s Viridiana (1962, 91 minutes.) Shown in Spanish with English subtitles at 4 pm in the Clark auditorium. Admission is free. The Clark, 225 South Street, Williamstown, MA. clarkart.edu, 413 458 2303. July 2: “Spanish Masters of Cinema” film series screening of Victor Erice’s The Spirit of the Beehive (1973, 98 minutes). Shown in Spanish with English subtitles at 4 pm in the Clark auditorium. Admission is free. The Clark, 225 South Street, Williamstown, MA. clarkart.edu, 413 458 2303. July 16: “Spanish Masters of Cinema” film series screening of Carlos Saura’s Carmen (1983, 101 minutes). Shown in Spanish with English subtitles at 4 pm in the Clark auditorium. Admission is free. The Clark, 225 South Street, Williamstown, MA. clarkart.edu, 413 458 2303. July 30: “Spanish Masters of Cinema” film series screening of Pedro Almodóvar’s All About My Mother (1999, 106 minutes). Shown in Spanish with English subtitles at 4 pm in the Clark auditorium. Admission is free. The Clark, 225 South Street, Williamstown, MA. clarkart.edu, 413 458 2303. August 13: “Spanish Masters of Cinema” film series screening of Alejandro Amenábar’s The Sea Inside (2004, 126 minutes). Shown in Spanish with English subtitles at 4 pm in the Clark auditorium. Admission is free. The Clark, 225 South Street, Williamstown, MA. clarkart.edu, 413 458 2303. August 27: “Spanish Masters of Cinema” film series screening of Guillermo del Toro’s Pan's Labyrinth (2006, 112 minutes). Shown in Spanish with English subtitles at 4 pm in the Clark auditorium. Admission is free. The Clark, 225 South Street, Williamstown, MA. clarkart.edu, 413 458 2303.